Salt Creek is an amazing 25 mile-ish point to point hike amongst the canyons and spires of the Needles section of Canyonlands National Park. 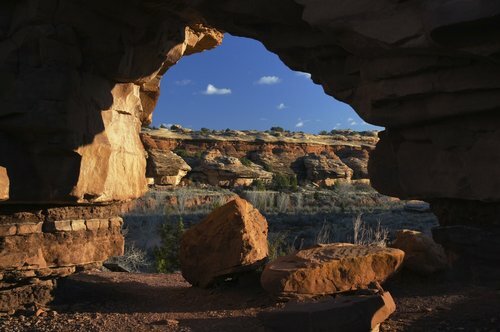 The area is replete with arches, Anasazi ruins and rock art, incredible views of sandstone outcroppings, striped pinnacles and all around incredible desert landscapes. Natural springs provide habitat and water for wildlife and create beautiful waterfalls. This trail can be done as an out and back, however; the best way to do it is with a shuttle. 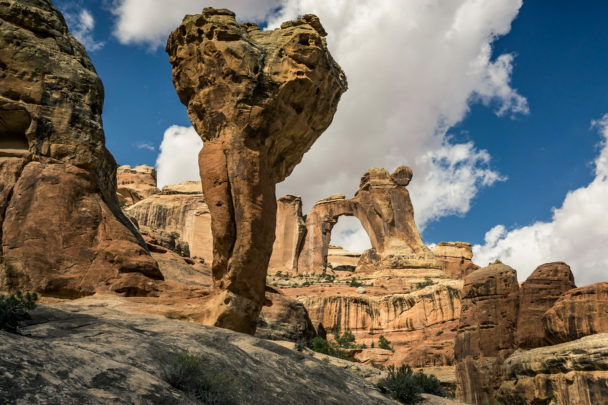 We meet you at the Needles Visitor’s Center, load up, and then shuttle your car to either Squaw Flat or Cave Springs before driving you to the Cathedral Butte Trailhead. There is an additional charge for Elephant Hill or Big Springs trailheads. You will be with us about two hours, but the whole shuttle takes us a minimum of five and a half hours. Times can be greatly extended depending on the condition of the Beef Basin Road, the 18 mile dirt access road to Cathedral Butte which is vulnerable to wash outs during rain events. This road can also be impassible in early spring and late fall due to snow. RATES: $350 for up to two passengers, $375 for three, $400 for four and $500 for five to seven. Map and additional hiking trails. We are happy to entertain other hiking and hiking/packrafting shuttles to trailheads in Canyonlands National Park, down the Mineral Bottom switchbacks and to various other trails on Forest Service and BLM land. Please give us a call so we can chat about your idea.